Maaspaliza Azri, Ayu Nurfatika Abdul Mubin, Zulkifilie Ibrahim, and Nasrudin Abd. Rahim,” Mathematical Modeling for Proton Exchange Membrane Fuel Cell (PEMFC),” Journal of Theoretical and Applied Information Technology (JATIT), vol. 86, no. 3, 2015. Maaspaliza Azri, Ayu Nurfatika Abdul Mubin, Zulkifilie Ibrahim, and Nasrudin Abd. Rahim, ” A Simulation Model for Proton Exchange Membrane Fuel Cell (PEMFC) using MATLAB/SIMULINK,” International Conference on Power,Energy, and Communication (IPECS), pp. 430-435, 2016. Maaspaliza Azri, Nur Hidayah Abu Khanipah, Zulkifilie Ibrahim, and Nasrudin Abd. Rahim, ” Bidirectional DC-DC Converter for Fuel Cell Applications,” International Conference on Power,Energy, and Communication (IPECS), pp. 442-451, 2016. Nur Hidayah Abu Khanipah, Maaspaliza Azri, Zulkifilie Ibrahim, and Nasrudin Abd. Rahim, ”Multi Device Interleaved DC/DC Converter for Fuel Cell Applications",4th International Conference on Engineering and ICT (ICEI 2016) , 2016. Maaspaliza Azri, Nasrudin Abd. Rahim, and Wahidah Abd. ,” A Highly Efficient Single-phase Transformer less H-bridge Inverter for Reducing Leakage Ground Current in Photovoltaic Grid-connected System,” Electric Power Components and Systems, 43(3):1–11, 2015. ZB Ibrahim, ML Hossain, IB Bugis, JM Lazi, NM Yaakop,” Comparative analysis of PWM techniques for three level diode clamped voltage source inverter,” International Journal of Power Electronics and Drive Systems (IJPEDS) (5) 15-23, 2014. MHN Talib, Z Ibrahim, N Abdul Rahim, ASA Hasim,”Implementation of space vector two-arm modulation for independent motor control drive fed by a five-leg inverter”, Journal of Power Electronics, 14 (1), 115-124, 2014. MHN Talib, Z Ibrahim, NA Rahim, ASA Hasim, “Comparison Analysis of Indirect FOC Induction Motor Drive using PI, Anti-Windup and Pre Filter Schemes’, International Journal of Power Electronics and Drive Systems (IJPEDS), 5 (2), pp. 219-229, 2014. Z Ibrahim, ASA Hasim, MHN Talib, R Mustafa, “Performance Investigation of Active Power Filter Under Non-Linear Loads Variation”, International Review of Electrical Engineering (IREE) 9 (2), pp. 414-419, 2014. Z Ibrahim, ASA Hasim, MHN Talib, J Mat Lazi, S, Mat Isa , “Performance Investigation of Photovoltaic Grid Connection for Shunt Active Power Filter with Different PWM Generation”, Journal of Theoretical & Applied Information Technology 57 (2), 2014. Z Ibrahim, NM Yaakop, F Ahmad, M Sulaiman, K Jusoff, Z Jano, LKM Sui , “Improved Direct Torque Control Load Torque Estimator with the Influence of Steering Angle for Dual Induction Motors Electric Vehicle Traction Drive System”, World Applied Sciences Journal 21 (2), pp. 11-22, 2014. ZB Ibrahim, ML Hossain, IB Bugis, NMN Mahadi, ASA Hasim, “Simulation Investigation of SPWM, THIPWM and SVPWM Techniques for Three Phase Voltage Source Inverter”, International Journal of Power Electronics and Drive Systems (IJPEDS) 4 (2), pp. 223-240, 2014. ZB Ibrahim, ML Hossain, IB Bugis, JM Lazi, NM Yaakop, “Comparative analysis of PWM techniques for three level diode clamped voltage source inverter”, International Journal of Power Electronics and Drive Systems (IJPEDS), 5 (1), pp. 15-23. 2014..
ZB Ibrahim, ML Hossain, IB Bugis, NMN Mahadi, ASA Hasim, “Simulation Investigation of SPWM, THIPWM and SVPWM Techniques for Three Phase Voltage Source Inverter”, International Journal of Power Electronics and Drive Systems (IJPEDS) 4 (2) pp. 223-240, 2014. M Azri, NA Rahim,” Design Analysis of Low-pass LC Passive Filter in Single-Phase Grid-Connected Transformerless Inverter,” International Journal of Renewable Energy Resources, 1, 2014. M Azri, NA Rahim, MFM Elias,” Transformerless DC/AC Converter for Grid-Connected PV Power Generation System”, Arabian Journal for Science and Engineering 39 (11), 7945-7956. 2014. WA Halim, NA Rahim, M Azri,” Selective Harmonic Elimination for a Single-Phase 13-level TCHB Based Cascaded Multilevel Inverter Using FPGA”, Journal of Power Electronics 14 (3), 488-498, 2014. Zulkifilie Bin Ibrahim, Md. Liton Hossain, Ismadi Bin Bugis, Jurifa Mat Lazi, NurazlinMohdYaakop, “Three Level Diode Clamped Inverter Based on Space Vector Pulse Width Modulation Technique”, International Journal of Power Electronics and Drive System (SCOPUS Indexed), Vol. 4, No. 1B, July, 2014. Zulkifilie Bin Ibrahim, Md. Liton Hossain, SyamimBintiSanusi, Nik Munaji Bin Nik Mahadi, Ahmad Shukri Abu Hasim, “Performance of Different Topologies for Three Level Inverter Based on Space Vector Pulse Width Modulation Technique”, 3rd IET International Conference on Clean Energy and Technology, 24th to 26th November, 2014. Zulkifilie Bin Ibrahim, Md. Liton Hossain, M.H.N Talib, Raihana Mustafa, “A Five Level Cascaded H-Bridge Inverter Based on Space Vector Pulse Width Modulation Technique”, 2014 IEEE Conference on Energy Conversion, page: 293-297, 13–15 October 2014. Zulkifilie Bin Ibrahim, Md. Liton Hossain, Ismadi Bin Bugis, Nik Munaji Nik Mahadi, Ahmad Shukri Abu Hasim, “Simulation Investigation of SPWM, THIPWM and SVPWM Techniques for Three Phase Voltage Source Inverter”, International Journal of Power Electronics and Drive System (SCOPUS Indexed), Vol.6, No.2, June 2014. Zulkifilie Bin Ibrahim, Md. Liton Hossain, Ismadi Bin Bugis, M.H.N Talib, Raihana Mustafa, “A Four Level Diode Clamped Voltage Source Inverter Based on Space Vector Pulse Width Modulation Technique”, 2nd Power and Energy Conversion Symposium”, 12 May, 2014. MHN Talib, Z Ibrahim, N Abdul Rahim, ASA Hasim,” Performance improvement of induction motor drive using simplified FLC method, “16th International Power Electronics and Motion Control Conference and Exposition (PEMC), pp. 707 – 712, 2014. Zulkifilie Bin Ibrahim, Md. Liton Hossain, Ismadi Bin Bugis, M.H.N Talib “A Four Level Diode Clamped Voltage Source Inverter Based on Space Vector Pulse Width Modulation Technique”, The 2nd Power and Energy Conversion Symposium (PECS 2014), 293-297, 2014. ZB Ibrahim, M Hossain, MHN Talib, R Mustafa, NMN Mahadi,” A five level cascaded H-bridge inverter based on space vector pulse width modulation technique”, IEEE Conference on Energy Conversion (CENCON), pp. 293-297, 2014. Zulkifilie Bin Ibrahim, Md. Liton Hossain, Syamim Binti Sanusi, Nik Munaji, “Performance of Different Topologies for Three Level Inverter Based on Space Vector Pulse Width Modulation Technique”, 3rd IET International Conference on Clean Energy and Technology, 2014. ZB Ibrahim, M Hossain, MHN Talib, R Mustafa, NMN Mahadi, “A five level cascaded H-bridge inverter based on space vector pulse width modulation technique”, IEEE Conference on Energy Conversion (CENCON), pp. 293-297, 2014. Z Ibrahim, SNM Isa, JM Lazi, MHN Talib,” Simplified Fuzzy Logic Speed Controller for Vector Controlled Permanent Magnet Synchronous Motor Drives”, International Review of Electrical Engineering (IREE) 8 (1), 104-114, 2013. Z Ibrahim, As Abu Hasim, N Talib, Md Hairul, J Mat Lazi, Mat Isa, “Performance investigation of photovoltaic grid connection for shunt active power filter with different pwm generation”. Journal of Theoretical & Applied Information Technology 57 (2), 2013. MHN Talib, Z Ibrahim, NA Rahim, ASA Hasim, “Characteristic of Induction Motor Drives Fed by Three Leg and Five Leg Inverters”, Journal of Power Electronics , 13 (5), 806-813, 2013. 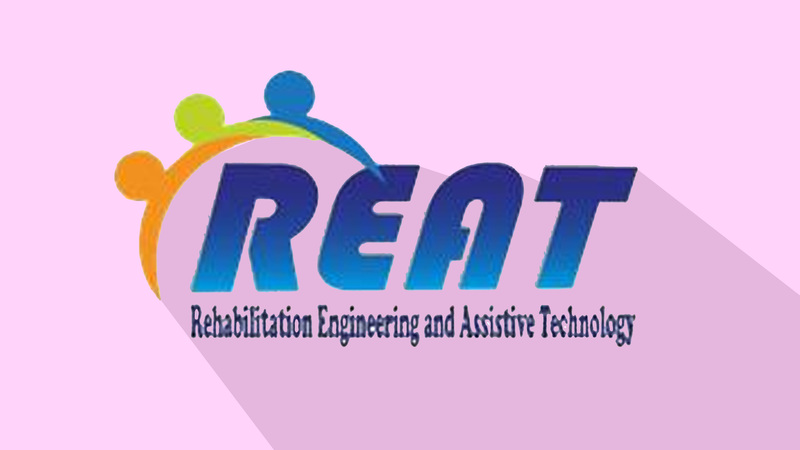 The focus of REAT research group is to research and support the rehabilitation engineering and assistive technology.